Hello everyone! It's Lydia here and I'm soooo excited to be with you here on Catherine's blog! Today I have a fun, bright, nearly one layer card to share. 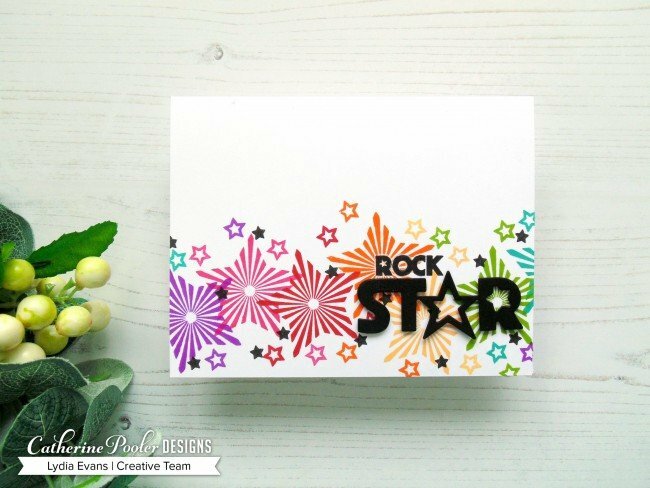 I started with a white card base and the very cool Starlights Stamp Set. I took one of the larger star images from the set and stamped this 7 times across the bottom part of the card base. For this rainbow color combo I used Flirty Fuchsia, Party Dress, Rockin' Red, Orange Twist. Tiara, Lime Rickey and Aquatini, I have to say that this is one of my favourite color combos of all time! 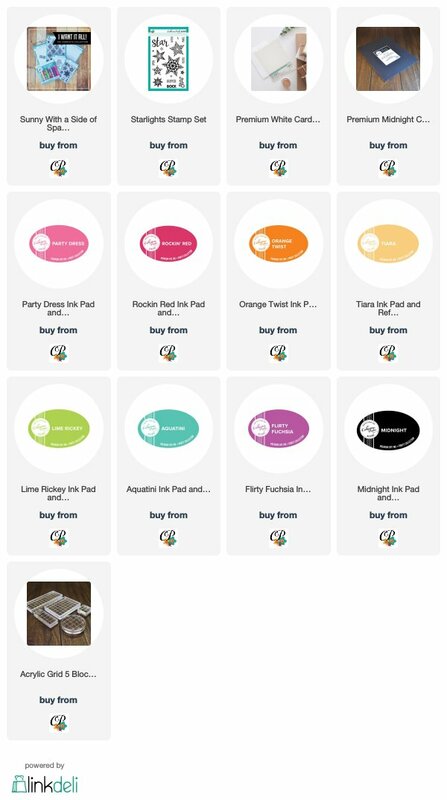 I then took one of the smaller stars and stamped these around the stars using the same rainbow colors. 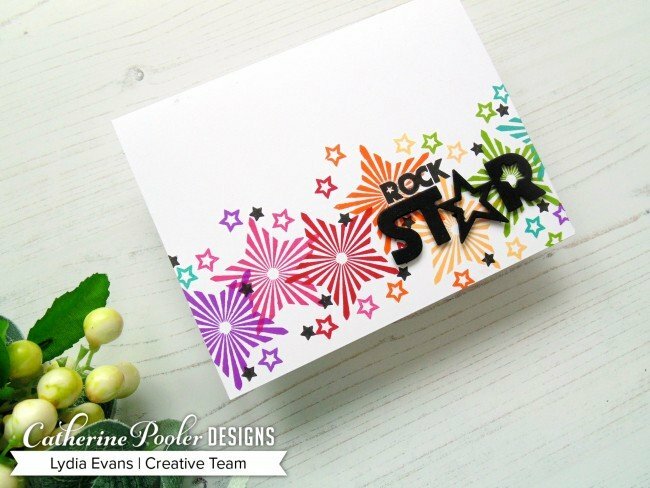 To create a little more contrast I took the smallest star and stamped this around using Midnight Ink. 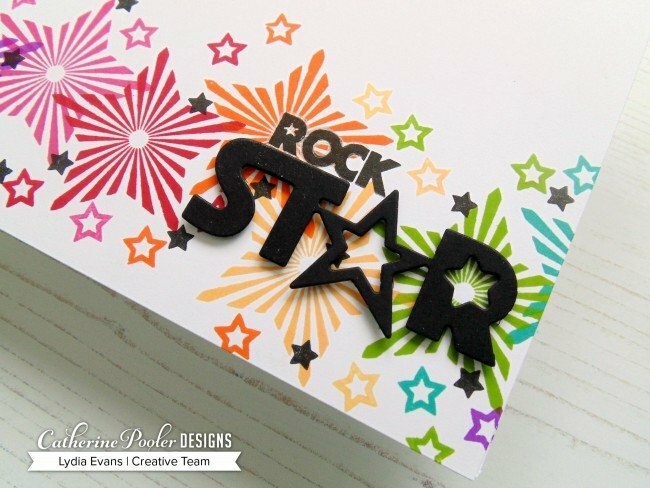 For the sentiment, I stamped part using the Starlight Stamp Set but added to this using the Star Word Die cut from black cardstock. To make the ‘rock' stand out a little more from the background I went around it using a white gel pen. How cool does this card look?!?!? I love the fact that this will work for many different occasions and that it would also work for guys and girls alike! Thanks so much for stopping by and I'll see you again real, real soon!